It seems that with each New Year comes, some very common resolutions: To be more organized, to eat more healthy, to exercise, and to build up a food storage! I have made the food storage resolution, unfortunately I have never really been able to find a great way to build it up. It seems like recently in my life the topic of FOOD STORAGE keeps being brought up!! First off, we had a sacrament meeting about preparedness. Then, my hubby came home and said that the elders quorum party was going to be on what?!? FOOD STORAGE!! He then said that we are supposed to bring something from our food storage that we can share with everyone and then asked me what we had that we could bring. With wide open eyes and shame I said, um not much! Lastly, I was contacted by Misty at Your Home Store to host a Food Storage Webinar!! Okay, so someone is trying to tell me, that this food storage thing is pretty important!! Something, I learned form Misty's webinar is the importance of coming up with a plan that is right for you and your family! She goes over each type of food storage plan and gives the pros, cons, and how to make that plan work in her free webinar. Building a food storage with a plan is so much more efficient and beneficial then building one without a plan. Any Food Storage is Better Than NO Food Storage!! Building a food storage can take time and can be costly! It can also become overwhelming if you think you need to have your year supply, TODAY!! The best thing to do, is make a plan and then start building the food storage, build a little at a time, do what you can do. Having a little food storage is much better than having no food storage at all. Continually build up and replenish as you go!! One thing I struggled with when we were first married was we got a whole bunch of cans of food storage and we NEVER used them. It was the mentality that they were for an emergency. Which frankly is a big huge WASTE of money!! Those cans ended up going bad and I ended up tossing them in the trash! So wasteful!! 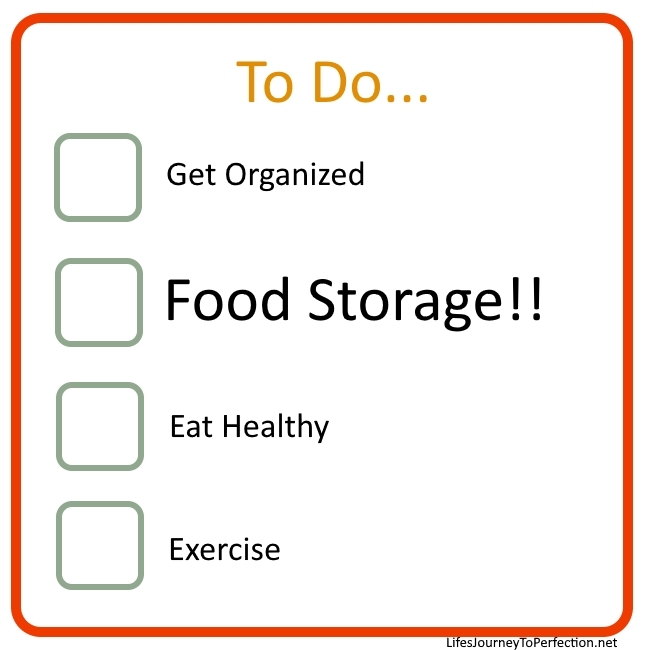 A much better approach is to build the food storage with the things you will actually use! Continually to build it up, so everything doesn't expire at the same time. Using your food storage is the best way to rotate your storage! For my family I have found as I said above, that it is best to buy thing that will will actually use. This drastically cuts down on the amount of waste. It is kind of like building up your own little store. I keep some stuff up in my kitchen pantry. Then when that stuff runs out, I can go shopping in my cold storage. Then I can replenish that food storage, when I go to the store or when there are things on sale. One big struggle can be knowing what you have in your storage. For instance, the other day I was at the store, I knew my sandwich baggies were running low. I was sure I had some down in my cold storage. Guess what??? Because I have slacked and don't have an inventory. I found out that I did not have any sandwich baggies in my cold storage and now I am out, until I go to the store again!! What I am going to do.... is make a file on Google Drive that I can keep my inventory on. That way, I can easily access this from my phone at the store. 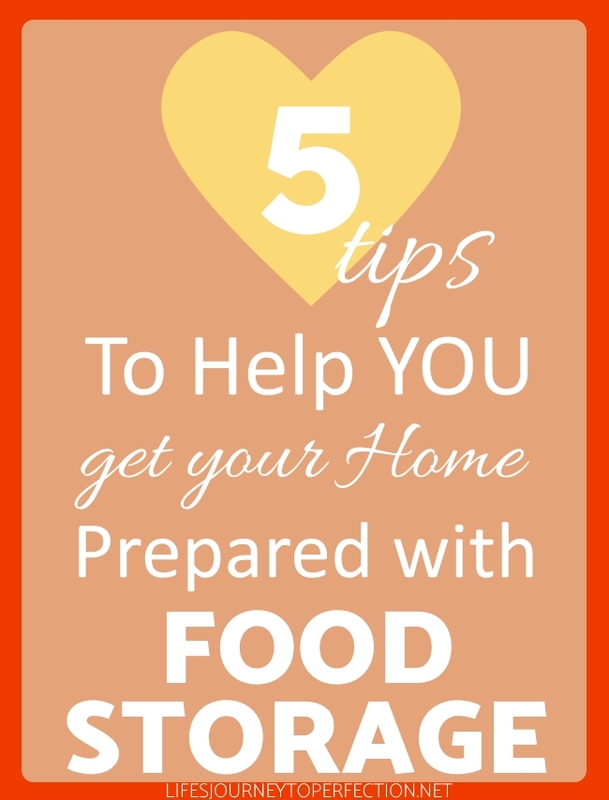 I hope that you will find these tips useful as you are trying to build up your food storage for your family! 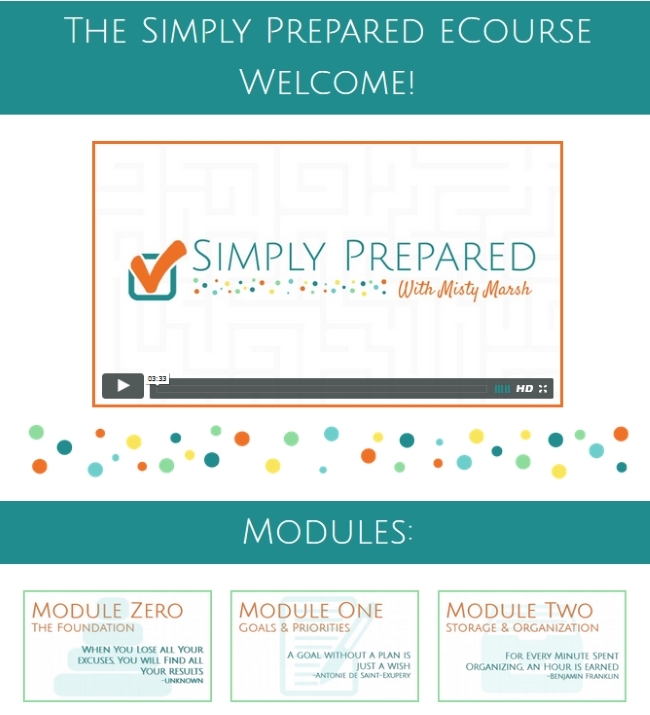 If you would like to learn even more about Food Storage and Preparedness you can sign up for one of Misty's Free Webinars or for her Simply Prepared Ecourse. 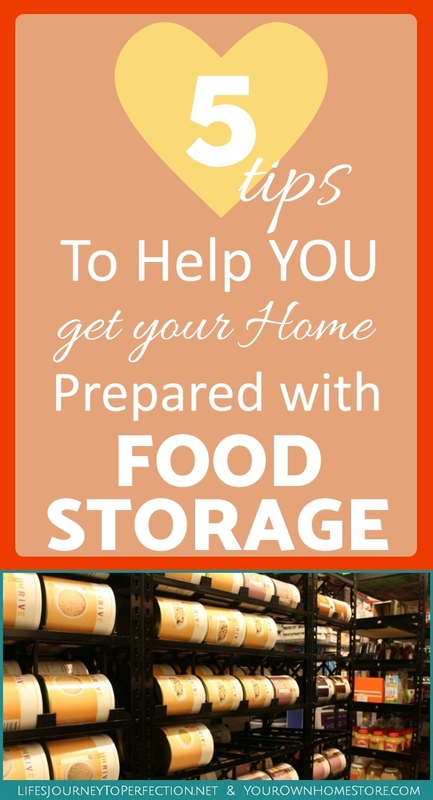 You can also follow my Pinterest page for more Food Storage and Emergency Preparedness ideas!